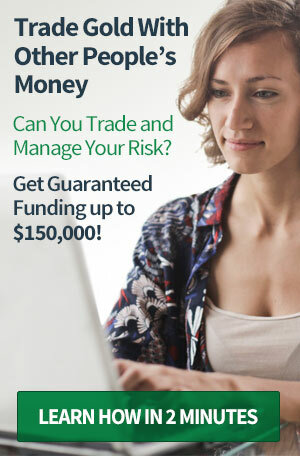 Now you can safeguard your assets from financial turmoil and the devaluing dollar – without paying costly middleman mark-ups or fending off high pressure, bait-and-switch sales tactics. 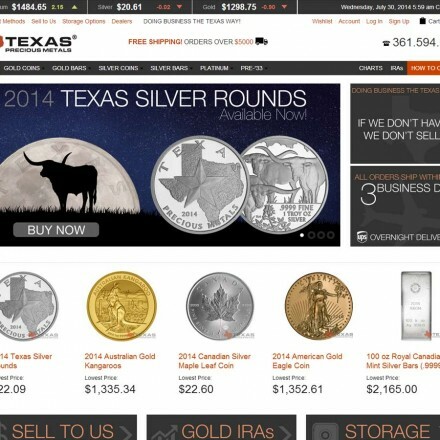 Savvy, self-reliant investors are embracing Money Metals Exchange as their trustworthy resource for gold and silver bullion. The reasons for our rapid growth are simple and straightforward – Money Metals Exchange is secure, private and offers you the most gold and silver for your money. 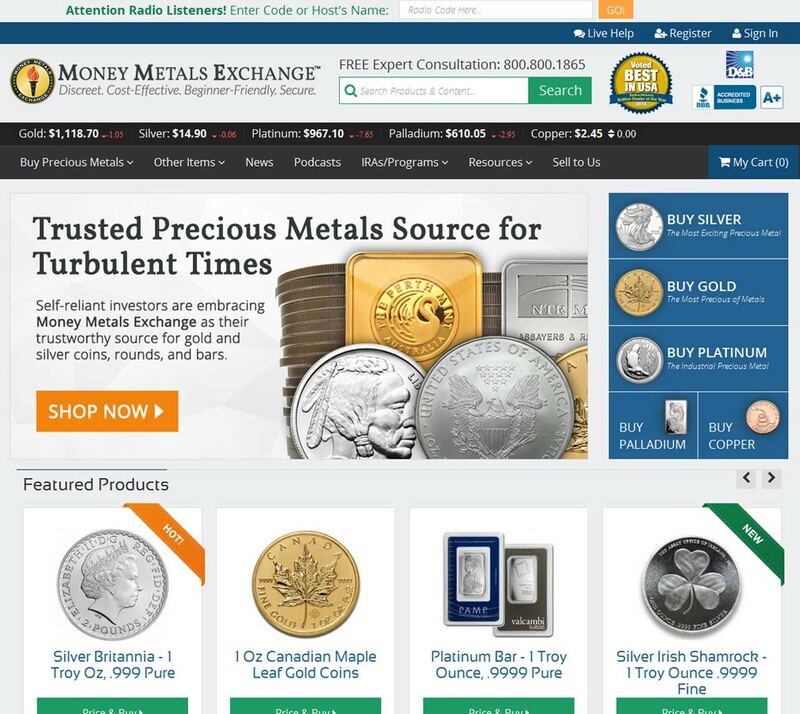 Money Metals Exchange are a professional small national precious metals dealer, growing rapidly thanks to attention to customer care and low premiums. Building their business on honesty and integrity, alongside sound professional advice, Money Metals could soon be giving the bigger nationals a real run for their money in a industry that’s going through a fairly dark period. As well as individual products for direct purchase, Money Metals offer monthly accounts (effectively Dollar Cost Averaging) and IRA accounts. 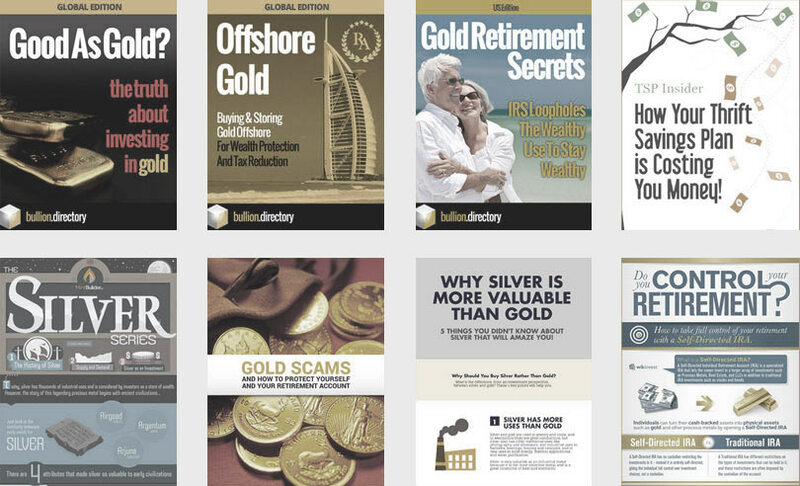 The Money Metals Exchange website provides an excellent range of free information guides covering all aspects of precious metals investments – what to, do how to do it and what to avoid. Similarly the e-commerce section of the site carries a wealth of product information alongside crisp clear images with a useful zoom function. 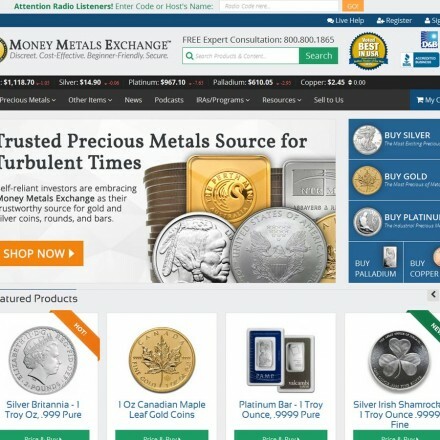 The website is clean and modern, and even though moneymetals.com contains a lot of information, navigation is such that there’s never an overwhelm and all design and layout elements are well thought out and intuitive to find. Font sizes are large and easy to read. FAQs, contact and essential legal information is clear and visible. All in all one of the better dealer sites. We’d have liked to see a physical address but due to the nature of the business, this is sometimes not possible for security. Given that the site is relatively new it’s not surprising that there are only a few reviews available online, but those that are out there are entirely positive, citing quality of service, knowledge and fair pricing. 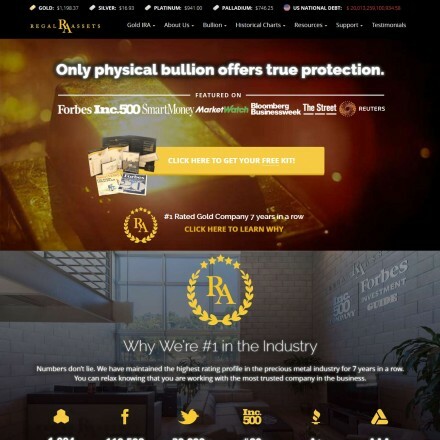 Bullion.Directory recommend that any complaints should be made directly to MoneyMetals.com in the first instance – their customer care line is 800-800-1865. When doing business with Money Metals Exchange - please say you saw them in Bullion.Directory. Read or add Money Metals Exchange reviews and ratings using the "reviews" tab above. All Money Metals Exchange details are believed to be correct at the time of listing. Please report errors here. 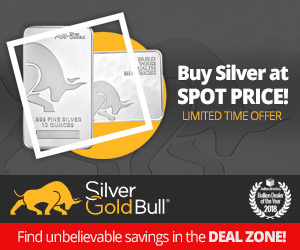 Nice offer on junk silver. Very pleased and also their survival gear is worth a look. I’ve been buying gold and silver from Money Metals Exchange for about three years now. I first learned about them from the newsletter Independent Living that they were affiliated with at the time. The bullion dealer was ‘spun off’ to create MME. MME has a monthly investment program where you can automatically buy gold or silver (or both) each month. You can decide how much of each (cash or ounces) is purchased and on what date (4 or 5 different days of the month) the purchase is executed. They can ship every month or once every 3 months which will save on shipping costs. MME is usually one of the lowest as far as cost and the premium they charge is clearly stated in the cost you’re paying. Not all dealers due this, if they do it’s sometimes very hard to find out what the premium actually is. They also buy gold and silver. I haven’t ever sold any so I can’t really comment on that. The premium they charge when selling is also clearly stated. I’ve only called to place an order once. A real person (from the U.S.) answered the phone almost immediately which was surprising considering the fact that gold and silver prices were plummeting that day and a lot of people were trying to place an order. FYI … no one was selling. The only minor con I can say about MME is they are a bit slow in shipping. I can understand this as they are a relatively small (but growing rapidly) company and they use the cheapest shipping option. You can have it shipped faster, but it will obviously cost more. MME also publishes a quarterly newsletter and you can sign up for email alerts and market wrap-ups. These guys put out some major content, probably the best source for precious metals related news out there in the industry. You can tell they know what they’re talking about. The weekly podcasts are great and they have lots of really good guests David Morgan, Gerald Celente, Chris Martenssen, Michael Pento, someone from GATA (don’t remember his name). I just wish they had a guest every week but it seems to be like once every 2 to 3 weeks unfortunately, but the market updates themselves are good. Their pricing seems pretty competitive – they are cheaper than most but not the cheapest – and their selection is really good. I’ve bought from them twice and their service is really solid. Good notifications, on time shipping, etc. They definitely have their act together overall but what I like about them the best is the awesome content. I’ve just voted for Money Metals Exchange in the bullion dealer awards and have rated them 5 star here and I’ll tell you for why. It’s been 15 years I’ve been buying precious metals in small quantities here and there, trying out different dealers for 2 or 3 purchases at a time until they either make a big mistake or outright lie to me. From small companies to some of the well known national so-called experts I’ve had equally poor to average service at best. MME kind of just appeared on my radar suddenly as I’d never heard of them before but I read their blog pages and listened to some of Mike’s excellent podcasts and decided I’d give them a go. Best decision I’ve made. They have been the utmost in professionalism and courtesy every time I’ve dealt with them and their prices and fees match and even better some of the companies I’d consider as being “value”. They deserve to win the title of Bullion Dealer of the Year and I really hope they do as so many companies could learn from their setup.